Remember how I said I felt like jumping off a bridge, well I did, only this time it was off signal hill in Cape Town and it was AMAZING. Signal hill used to be called Lion’s Flank (now obsolete) with a height of about 1150ft, atop this beautiful hill that surely flanks Lion’s Head Mountain, signal flags were used to communicate weather warnings to visiting ships to ensure they were adequately prepared for stormy weather. Amazingly today is also my birthday and I am ever grateful to my mom and my creator for raising and keeping me always in love, great health and happiness. Around the middle of this year I had wanted to attend a summer school on E-Governance in Estonia, I applied for a Schenghen visa through the embassy of Belgium and submitted my application at the VFS centre in Lekki, even though they held my passport for over two months and subsequently denied my application for reasons best known to them, I am grateful they did. You can’t imagine all the amazing people I have met between June and today. First I met Anubhav at the VFS centre on that day, he takes amazing photographs and loves to travel, and he is also launching his travel blog soon so watch out for that. Next, I met more awesome individuals at our different monthly WordPress Meetups. In September I applied to speak at WordCamp Cape Town and WordCamp Harare, I got accepted at both, applied for Visas to both countries. Zimbabwe denied for reasons best known to them as well (I won’t lie, I was furious, I really wanted to meet the awesome women at WCHRE2017), South Africa approved my entry. Folks will say build your travel history to enable approvals, I call it BS, Embassies take note here, I cannot build a travel history if you all keep denying me like that. I have absolutely no desire to go become a liability in another man’s land, I want to explore cultures, discover and experience the environment. Anyway, my trip to Cape Town was amazing; I had stopovers in Addis Ababa, the airport was beautiful, welcoming, airport staff were all smiles and courteous, immigration were good looking young individuals, hotel staff was friendly and supportive. Oh my, everyone at WCCT2017 were beautiful, supportive, friendly and amazing individuals and that is an understatement. At first i was a little nervous before i got on stage but felt at ease after a few minutes. I felt like i was home. I got a lot of positive feedback, made a lot of new friends and inspired a lot too. If I had to post all the pictures I took at WordCamp Cape Town 2017, you would be overwhelmed with love. Hey I even did golfing in heels..hahaha. I do want you to bask in the love I felt throughout my trip so I made a picture story for you to watch. 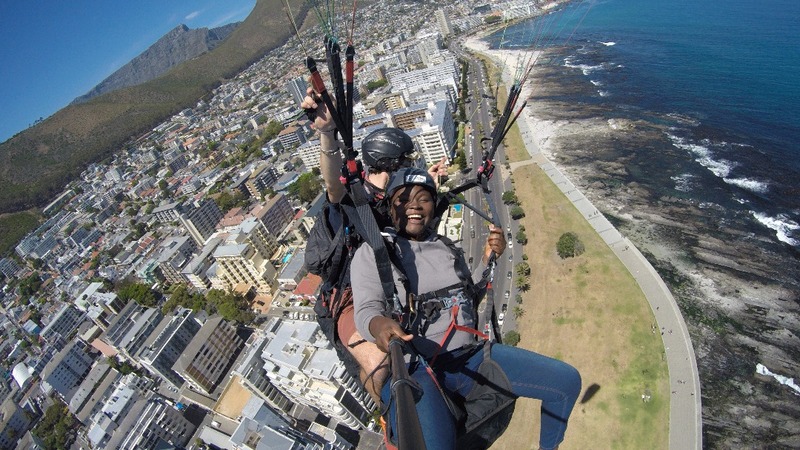 Hope you had fun reading about my trip to Cape Town and watching the videos? I am still receiving birthday gifts, i have been blessed a lot this day by my creator and i am thankful…so now I want to add two needs before my day end. Update: Yaaaaaay i got the MACBOOK PRO, A gift from a friend! So what did i learn on my journey to Cape Town? People are important. Building positive relationships are too. Knowledge and experience sharing via blogging and speaking is beautiful and inspiring..what do you think? If you would like to view the entire Photo Album thanks to Elizabeth Payne from WordCamp Cape Town 2017, Click here. Goodness me! Girl, you’ve got gumption jumping off the hill. I doubt if I will ever, ever do such a thing. Awesome post. Thanks. Jaja, you should make a note to try something similar sometimes soon. You did be surprised you will love it. I’m afraid of heights, but I told myself I would do it no matter what 😂. Waoh, Mary this might be a dream come alive…..! You were really “off your heels” Amazing story and encounter there…! Congratulations for the WP SA trip and for sharing your amazing and wonderful experience. New opportunities and possibilities are within your grasp. Every blessing.